Computer Science is a technical award with a broad focus - it aims to produce graduates who are proficient in software development as well as having a sound understanding of the structure and operation of computers and the interface between computers and their environment. It also emphasizes the hardware and system software of a computer, how they are designed, built and supported. The work includes a study of the major components of a computer system, particularly programming and how the components work together to make a variety of computer systems. 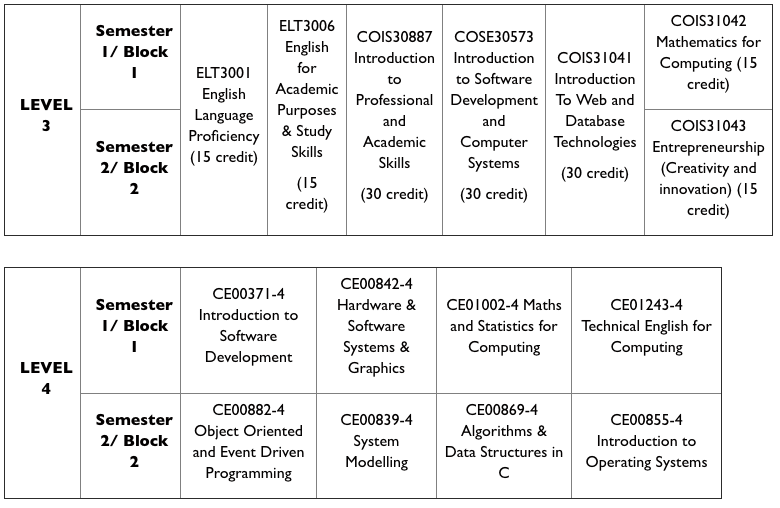 Computer Science students study computing fundamentals, practical and theoretical, in the first year and progress to the study of advanced concepts and the acquisition of complex technical skills in the second and final years of the degree. The technical skills that students acquire are based on an understanding of the theoretical principles which underpin these skills. A wide range of different teaching and learning strategies are used. In addition to formal lectures, there are student-led seminars, group presentations, and theory-based tutorials. Much of the teaching takes place in labs and a range of approaches are used including demonstrations, individual working, pair working and group exercises. Some modules are research-based and include student presentations to tutors and to other students. Bachelor degree holders of this programme will obtain the technical knowledge, skills, and backgrounds to design, organize and support different computer systems. A typical career could be as a Computer Programmers, Computer Systems Specialists etc. 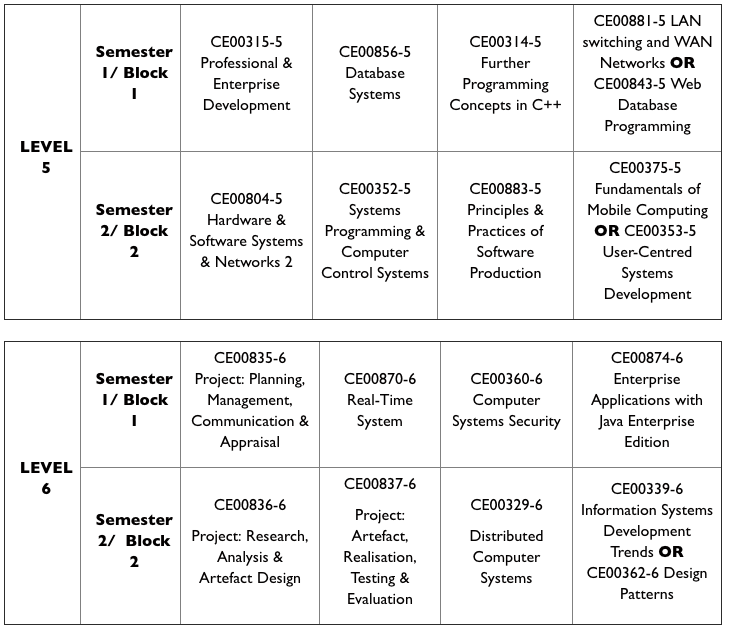 The BSc (Hons) in Computer Science can be achieved over a minimum period of 4 years.